Photo: Nuon. Creative Commons BY-NC (cropped). 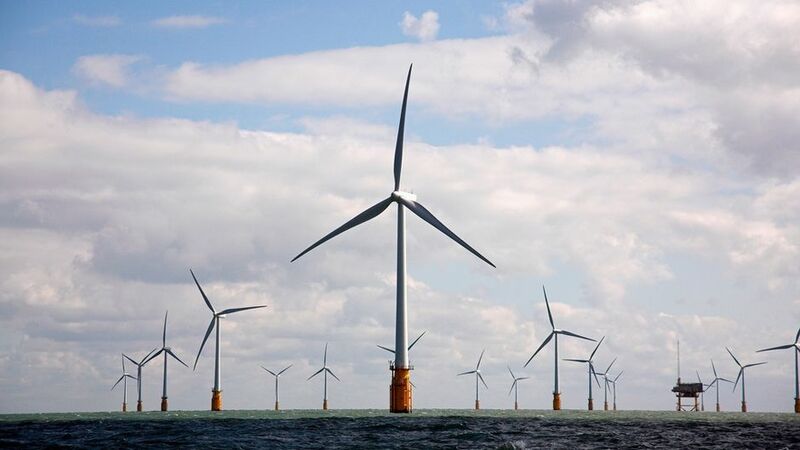 Environmental campaigners and countryside conservators aren’t the only fans of those great arrays of turbines, generating renewable energy from the winds at sea. Grey and harbour seals in the North Sea are beginning to show a preference for offshore wind farms as well. 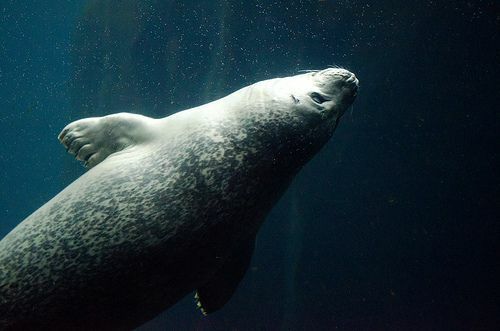 Deborah Russell, research fellow at the University of St Andrews, Scotland, and colleagues tracked the movements of both the harbour seal (Phoca vitulina) and the grey seal (Halichoerus grypus). There are an estimated 56,000 harbour seals in the North Sea and around 65,000 of the greys haul out on the British coast on the North Sea alone. Tagged specimens, with their movements tracked by GPS satellite systems as they surface to breathe, reveal a lot about the ecology of each species and their response to environmental change. The researchers report in the journal Current Biology that some of their tagged animals seemed to show a distinct preference for offshore wind farms and associated pipelines. Eleven harbour seals headed for two wind farms: one was Alpha Ventus, off northern Germany, and the other was Sheringham Shoal, off the North Norfolk coast, England. Some individuals regularly cruised the sites, and some even revealed a pattern of grid-like movements as they appeared to forage at individual turbines. Two seals in the Netherlands were tracked along sections of submarine pipeline, on fishing expeditions that lasted 10 days at a time. The guess is that the seals regarded the offshore structures as artificial reefs where crustaceans settle and fish congregate. Photo: Jason Ahrns. Creative Commons BY-NC-SA. Turbine blades can swirl at speeds of up to 280 kilometres an hour, and represent a danger to birds and bats − one estimate is that such structures in the US account for 600,000 bat deaths a year. But marine creatures far below the circling blades seem to value a touch of freshly-planted, three-dimensional shelter in the muddy basin of a shallow sea. Only a small proportion of the tracked animals showed a preference for wind farms, and such structures still cover only a trifling area of the available coast. But the research leaves open a number of questions. One is whether, as wind farms add to the available habitat in the North Sea, they will increase the available fish and crustacean populations, or whether they simply attract the prey and make life easier for innovative predators. As offshore investment grows, such studies may help engineers to design farms that help both the consumer and the wild things in the offshore waters.